Thanks for the delightful ditty, Van Dyke. However there’s little in the way of “rat-a-tat-tat” in Clint’s latest. What he and intrepid scriptwriter Dustin Lance Black have fashioned instead is a tragic love story of a man in love with a man constitutionally incapable of loving him back. Either. Rather, they’re a couple from the early part of the last century. Well-dressed, well-spoken, and “well-protected” when it came to the possiblity of public prying. Not that anyone would have pried anyway. It’s a serious, ambitious film, grappingly with the whys and wherefores of a complex contentious man. By contrast a recent Los Angeles Times cover story is deeply, albeit unintentionally, silly. “Hoover took the advice to heart. As reports on Nelson’s activities poured in from FBI field offices, Hoover would scribble comments across the bottom. The more he read, the more vitriolic he became. “Nelson is a mental case,” Hoover wrote on one memo. “He is a rat,” he scrawled on another. “For two years in the early 1970s, Hoover nursed an obsession with the new reporter in the nation’s capital. His agents pumped journalists for dirt on Nelson. He put Nelson on the bureau’s list of “untouchables,” reporters who were to receive no cooperation. He even called Nelson a drunk and demanded that he be fired. “Nelson wanted to know how much money the director had earned for his anti-communist bestseller “Masters of Deceit.” He asked about Hoover’s armored cars and his office carpeting. The term “closet queens” doesn’t really apply because back then the closet was all, and the only relief from its strictures is if one had enough money and clout to decorate and furnish it comfortably. That Edgar and Clyde most certainly had. “As he had done with other perceived enemies, Hoover began compiling a dossier on the reporter. 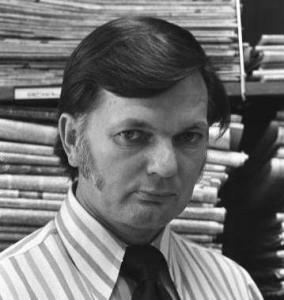 “In June 1970, a reporter for an Alabama newspaper told agents that Nelson had been sent to Washington to write “derogatory” articles about Hoover. The reporter, whose name was redacted, told the FBI that at a conference in Cambridge, Mass., a drunken Nelson had “indicated he had a statement from somebody in the ‘Department’ stating that Mr. Hoover was a ‘homosexual’ and that he was planning to use this information in the article,” according to an FBI memo. The reporter added that he had “nothing but the highest regard for the FBI and Mr. Hoover,” the memo said. By January 1971, Hoover was sufficiently concerned about Nelson’s intentions that he brought the matter up with Atty. Gen. John Mitchell, his boss. “We have received several recent reports reflecting extensive efforts on his part to embarrass the FBI and me,” Hoover wrote. In the summer of 1971, Nelson covered a White House ceremony honoring Hoover. A top bureau aide, J.P. Mohr, delighted in the irony. But the simple fact of the matter is there’s no way whatsoever any newspaper would have “outed” J.Edgar Hoover — or anyone else of note. It simply wasn’t done back then. Especially with a potato as hot as Hoover. In October of that year, Robert D. Nelson, vice president and general manager of The Times (and no relation to Jack Nelson), met with Hoover at FBI headquarters, hoping to clear the air. The effort was unsuccessful, and two weeks later Kraslow sat down with the director. In a recent interview, Kraslow, now 85, said Hoover complained bitterly about Nelson’s supposed plan to identify him as a homosexual. “I defied him to produce any informant who would stare me in the face or who would stare Jack Nelson in the face and say that Jack Nelson had on any occasion intimated that Hoover was a homosexual,” Kraslow wrote. Kraslow refused to fire Nelson. Rather, he asked his reporter to write a rebuttal, which was sent to Hoover. For years following J. Edgar Hoover’s death, rumors circulated that the Mob had in their possession certain photos of J. Edgar Hoover wearing womens clothing. This was supposedly one reason why the Bureau backed off on any and all illegal activities that the Mob were allegedly involved in. Yet, despite all the talk, we have been continuously promised proof of Hoover’s alternate lifestyle, and to this very day, after years of speculation and malicious gossip, no photographs have ever surfaced and nothing has been proven that J. Edgar Hoover was a cross-dresser, or was gay. In truth, Hollywood has had more contempt for Hoover, than Hoover did toward any of his public enemies. J. Edgar Hoover was NOT gay, but Hollywood executives want you to believe he was, as Hoover himself had no love for Hollywood. Hoover was a top cop, better than any elected Sheriff or Attorney General. If Hoover were alive today, certain elected officials wouldn’t have a place in politics, due to Hoover’s meticulous background investigations which kept certain politicians in fear and the FBI at the peak of its reputation. J. Edgar Hoover was undoubtedly the greatest. There will never be anyone else like him. And that brings us back to Clint. As Clint and Dustin dramatize him, and Leo portrays him, Edgar was a “Mama’s Boy” of a most traditional sort. Mom (the great Judi Dench) was a terrifyingly strong woman who wanted great things for her son. In one very important scene she tells him about someone from her youth who was caught wearing woman’s clothes and shortly thereafter killed himself. “We called him Daffy” she says — being shot for “Daffodyl” ie. a homosexual. This is clearly why in an earlier scene Edgar on meeting Helen Gandy (Naomi Watts) a smart and attractive young secretary takes her out on a date and immediately gets down on one knee and proposes marriage. Gandy is of course astonished, and demures — at which point Hoover asks her to come to work for him. Their “date” consisted of his showing her the card catalogue system at the Library of Congress that he is obesssed with. Clearly informational order is a passion Hoover has taken up as a means of sexual sublimation. “At the Atlanta Constitution, Nelson won a Pulitzer Prize for local reporting in 1960 for exposing abuses at a state mental hospital. The Los Angeles Times hired him five years later, and he added to his reputation with unflinching coverage of the violent suppression of voting rights demonstrations in Selma, Ala. He reported that FBI-paid provocateurs were involved in civil rights abuses in Mississippi, and in a book about the Orangeburg Massacre in South Carolina, he said three FBI agents had watched state troopers fire on black students and had later denied they were even present. In the eyes of Hoover and his supporters, Nelson was an enemy. That view was reinforced by a lengthy article Nelson wrote soon after arriving in Washington in 1970. It described the FBI’s involvement in a sting operation aimed at Ku Klux Klan members in Meridian, Miss. J. Edgar doesn’t go into that incident, nor does it whitewash the FBI’s antipathy to the civil rights movement, as was done in the egregious Mississippi Burning. It does however dramatize Hoover’s purient interest in Martin Luther King’s extra-marital affiars — bugging a bedroom where he has an adulterous tryst. In fact we see Hoover listeniing to tapes of MLK getting it on as he’s informed that JFK has just been shot in Dallas. More important it deals with Hoover’s mendacity in a very ingenious way. As the story is told largely from his point of view, in that it’s frequently framed as an autobiogrpahical account he dictates to a bureau agent for a prospective autobiography, we take on faith what he tells us of the anarchist uprisings in 1919 that led to the so-called “Palmer Raids” (also depicted in Warren Beatty’s Reds ) — attacks on “subversives” in response to an allegednbombing plot against Attorney General Palmer. We subsequently see Hoover take part in a number of arrest in the wake of agent Melvin Purvis’ famous capture of John Dillinger — a crime-fighting triumph Hoover hoped to claim for himself alone, leading to his backballing Purvis from the agency for stealing what Hoover saw as his own glory. But late in the narrative Clyde reviews Hoover’s history with him, pointing out that he wasn’t responsible for any number of things he claimed — even though we “saw” him doing it in flashbacks. Clyde’s retelling offers “corrected” flashbacks to show the truth. Thus it’s clear we can’t trust a word of what Hoover says — save for one thing alone. There’s been a lot of understandable expectancy over how J. Edgar would treat Hoover and Tolson’s relationship. Not it’s not Brokeback Mountain, but it’s not Tea and Sympathy either. We get a foretaste in a scene where Edgar and Clyde out at a swank restaurant drop by the table where Ginger Rodgers and her mother are dining — the pair having asked to meet Edgar. The chat is amiable, but when Ginger’s Mom asks Edgar for a dance the mood tunes chilly. He backs away briskly claiming that he and Clyde have work to do. We next see him with his own mother, who insists that he learn how todance, and gives him a brief, awkward lesson. Apparently it pays off as the film’s big scene arrrives shortly thereafter. Edgar tells Clyde he’s planning to marry Dorothy Lamour — one of the very few women rthe FBI chief ever had a date of public record with. Clyde hits the ceiling. He screams to the high heavens at what an insult this is to him and that he’s not about to stand for it. They then fight — htiing at each other wildly and rolling on the floor. Pinning Edgar down Clyde kisses him full on the mouth, and chocking back a sob says “I love you Edgar,” before crawlign away and back to his own room. Now alone crying too Edgar rises from the floor and chockes out his own “I love you Clyde” to the empty air. Quite frankly it’s all we need to know. There have of course been films about the FBI before. Here’s it’s maker, the brother of the late Ronnie Chasen, introducing a screening a few years back. But Cohen, for all his low-budget moviemaking smarts is dumb as a rock when it comes to sexuality. And that’s not to mention cross-dressing. He should have asked Dan Dailey about that. Needless to say a more sensational view of Hoover is of no help either. Hoover’s antipathy to mentioning The Mafia is touched on in J. Edgar. And in one scene we see him don a dress, the better to evoke his just-deceased Mother (J. Edgar Bates anyone?) The thing is for all his pomposity Hoover knew his limits. Taking on a crime syndicate so enormous wasn’t what a publicty hound like Hoover was cut out to do. He wanted the PR spectacle of a one-on-one arrest. But as his ability to take credit for deaingl with modern criminality faded his penchant for peeing into the private lives of the swells increased. J. Edgar makes copious mention of his “scret files’ and posits that in accordance with Hoover’s instructions Helen Gandy has them destroyed after his death. As for J. Edgar as depicted in J. Edgar the often erratic David Denby makes an interesitng point. Close but no cigar. Leo is a solid actor but Jean-Louis Trintignant he’s not — and Clint is no Bernardo Bertolucci. And now to sing us out, wearing a suit Clyde would have approved of is Der Bingle, serenading a woman Clyde most emphatically disapproved of.